We’re innovating the art of recognition. We make more than just custom awards and trophies; we create symbols to recognize all the people working hard for what they believe in every day. Levy Recognition is a recognition solutions and custom awards provider. From people recognition to brand recognition and everything in-between, we want to become an extension of your company. Our breadth of products and services is backed by our 50 plus years of experience. We decipher what you need. We work closely with all of our clients to tailor their awards to their individual needs. Recognition is based upon innovation and optimism, and we center our company on those ideals. The recipient changes, branding changes, but our commitment to our clients never wavers. Have you ever received a custom award designed specifically for you? It lifts you up. It revitalizes a staff. It creates a place people are happy to go to every day. We love being a part of that. The moment we hand off our custom designs to the recipients is the best part of the job. Levy Recognition was established in 1960. At the time, we were told a company centered on custom trophies and awards highlighting recognition would never last. Now, we are happy to still be an integral part of your recognition solutions! 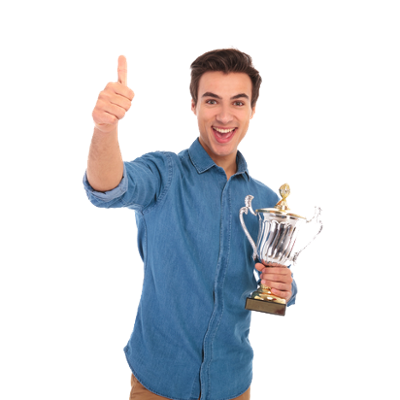 We started as a small, Tampa trophy shop, and with your help, have expanded to one of the leading national providers of custom recognition awards. Through this process, we are proud of the relationships we have built with clients across the globe. We partner with all types of businesses in different areas. We support many NCAA athletic conferences, collegiate institutions and various corporations. They are all united in their effort for increased recognition. "Levy provides solutions to your recognition challenges. We tailor our approach to each client, but we never change our dedication."